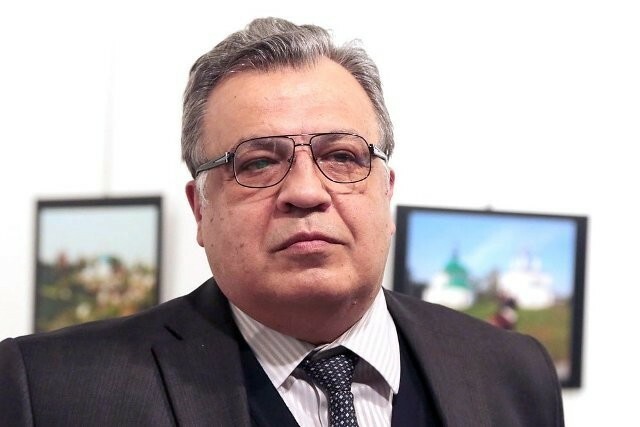 As a result of the terrorist act on December 19, 2016 in the capital of Turkey, Ankara, the Ambassador Extraordinary and Plenipotentiary of the Russian Federation to the Republic of Turkey Andrei Gennadievich Karlov died, an outstanding diplomat, a man whose whole life was devoted to the ideals of peace, humanism, friendship between peoples. Deputies of the State Duma of the Federal Assembly of the Russian Federation express deep condolences to the relatives and friends of AG Karlova, as well as to his colleagues and all those who were fortunate enough to work and communicate with this outstanding professional and courageous person. Feeling feeling of sincere indignation in connection with the cruel murder of the Ambassador Extraordinary and Plenipotentiary of the Russian Federation whose mission was to establish genuine good-neighborliness between the peoples of Russia and Turkey, the deputies of the State Duma declare their angry condemnation of terrorism in all its manifestations. The murder of a diplomatic representative of the state is a grave crime, grossly violating the norms of international law. Guilty of committing this monstrous provocation, both executors and those who directed the terrorist’s hand, fueling feelings of Russophobia, interethnic, interreligious and sectarian enmity, extremism and fanaticism, should be punished deservedly. In addition, additional security measures should be adopted, which in the future excludes the very possibility of attack by heads and employees of Russian diplomatic missions and consular offices abroad. Deputies of the State Duma call for the urgent establishment of effective cooperation between law enforcement agencies and other departments of the Russian Federation, the Republic of Turkey and other countries that put their full eradication of terrorism in a separate region and the world as a whole, not just in words, but in fact. Deputies of the State Duma fully support the statement of the United Nations Security Council of December 19, 2016, which, in particular, notes the need to hold accountable both executors, organizers, and sponsors of terrorism. In order to prevent the financing of international terrorism, the State Duma deputies urge the parliaments of the member states of the United Nations to take the necessary legislative measures against the sponsors of terrorist activities. The hopes of those who, in the most vile way, murder and intimidation, try to prevent full-scale cooperation between the Russian Federation and the Republic of Turkey, who in every possible way hinders the creation of a genuine anti-terrorist coalition aimed at achieving security and stability on the scale of the entire Eurasian continent. The decisive and unequivocal condemnation of the terrorist act in the city of Ankara by the leadership of the Turkish Republic confirms our confidence that the actions of the provocateurs will be repulsed, that the Russian-Turkish cooperation, despite all the efforts of its opponents, will be truly effective and creative. It is this development of events that leads to the establishment of peace and tranquility in the region, the complete liberation from terrorists of all settlements and the restoration of peaceful life in the long-suffering Syria, according to the unanimous opinion of the deputies of the State Duma, will be the best monument to the courageous son of our people – Andrei G. Karlov. Grateful memory of him, of his noble deeds and bright thoughts will forever remain in our hearts. The State Duma once again calls upon the parliaments of the states of the world and international parliamentary organizations to resolutely condemn the recent acts of violence against diplomatic missions and their employees, to resolutely oppose international terrorism in all its manifestations, to unite in order to create an effective anti-terrorist coalition.